Microsoft Surface Video Converter, Video Converter for Microsoft Surface RT & Pro tablet, Convert Videos or DVD Movies on Microsoft Surface tablet, winpad. Microsoft finally unveiled their self-built first ever tablet -- Microsoft Surface Tablet, which comes in two iterations ( Windows RT and Windows 8 Pro respectively). The Windows RT model is designed to run on ARM processors, while the Windows 8 Pro model will run the full-featured version of Windows 8 and give you all the benefits of a desktop computer. 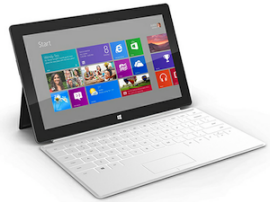 Featuring a 10.6-inch ClearType HD display, Microsoft Surface RT & Pro Tablet can bring you brand-new visual perception. Then how to experience unparalleled high quality videos on it? 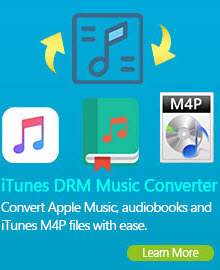 Any Video Converter Ultimate, a comprehensive video & DVD converting tool, will be the best assistant for you. Support for multithreading and batch conversion, this Microsoft Surface Video Converter works perfectly on converting standard video formats (AVI, MPEG, WMV, MP4, MOV, 3GP, FLV, etc.) 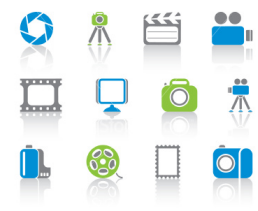 and HD video formats ( HD MKV, HD H.264/MPEG-4 AVC, HD MPEG-2, etc.) to Microsoft Surface Tablet. Why Choose Any Video Converter Ultimate For Surface Tablet? Surface RT tablet will run at least 1,280x720 pixels (720p HD), while the Surface Pro will boast at least 1,920x1,080 pixels (1080p), so many of your favorite movies and all popular TV shows will run in full-screen on the tablet with no stretching or letterboxing. Due to the video codec or video resolution, not all the videos files can be played perfect on the Microsoft Surface tablet. If you want to play any 720p HD or even full HD 1080p videos (AVI, WMV, SWF, 3GP, 3G2, MP4, AVI, MPG, VOB, FLV, MTS, M2TS, MKV, MOV, RMVB, RM, TS, TP, etc.) on Microsoft Surface Tablet, just take Any Video Converter Ultimate – the best Microsoft Surface Video Converter to help you. It is especially designed to convert videos to Microsoft Surface supported video formats like MP4/H.264 MP4 on Windows 8. Microsoft Surface is a line of tablet devices running the company's next-generation Windows OS and marks Microsoft's first foray into the ever-expanding tablet market. Surface is a Windows 8 tablet with integrated stand and keyboard running on both ARM and Intel systems, which is available in two distinct versions (RT & Pro). The first, the ARM-based WinRT model-- effectively the "light" version of Windows 8, using a 10.6-inch ClearType HD display and Core i5 processor. The Pro is heavier, which includes the 10.6-inch ClearType Full HD display. What do you think about Microsoft Surface RT & Pro Tablet? Could Microsoft Surface become Apple iPad and Google Android tablet killer? Let’s take a look at the detailed comparison. After that, you will get your answer. How to Convert Video to Microsoft Surface RT and Surface Pro? Want to enjoy all your favorite videos in full-screen on your Surface Tablet with no stretching or limitation? Let's take a closer look at how to transfer video to Surface RT or Pro tablet. Step 1: Download and install Any Video Converter Ultimate on your PC. Launch this Surface Tablet Video Converter, load your video files by clicking "Add Video/DVD" button. Step 2: Click on the dropdown list of “Profile” and choose the Common Video Formats>Customized MP4 Movie (*MP4), which is the best output format for Surface. Note: Under preview window field, you can manually adjust codec, bit rate; framerate, audio channel, etc. in the interface to optimize the output file quality for Surface tablet. - For Surface Tablet for Windows 8 Pro, you’d better set the video size as 1920x1080. - For Surface Tablet for Windows RT, you can set the video size as 1280x720. Step 3: After you have set up all the conversion output format & parameters, hit conversion button to start converting. The program will convert video to MP4 for surface automatically. 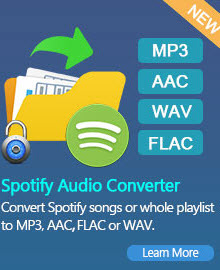 What Else Can Any Video Converter Ultimate Do For You? "Thank you folks! For providing a software flexible and simple to use. I am a senior citizen on SS, with some medical difficulties, and rather new in computers. I've been trying for a long time to download music videos & convert them to Surface compatible playback MP4 format. Other software trials are too complicated or just didn't work. I was thrilled when my first attempt with yours. It worked well the very first time. Logical and efficient steps!"